This subwoofer features a large magnet, a front-firing configuration, proprietary Yamaha's Advanced YST II and a linear port to produce deep and smooth bass. And, because there is no need to connect cables, it’s easy to set up and place. Fill your home with music the quick and easy way! Stream music from Bluetooth®-compatible smartphones, tablets and computers. And with support for aptX® audio coding, performance is better than ever. 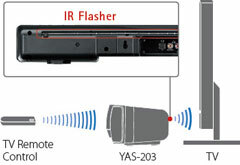 The YAS-203 can also be set in Bluetooth® standby mode, enabling the bar’s power to turn on or off automatically for energy-saving convenience. Download the free Home Theater Controller app for iOS and Android™ to easily perform a variety of basic functions. 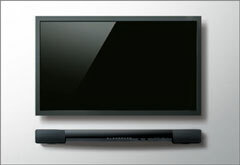 Select surround modes or make sound adjustments for the best listening experience.